7 out of 12 pictures lost. Island in the middle of the street. 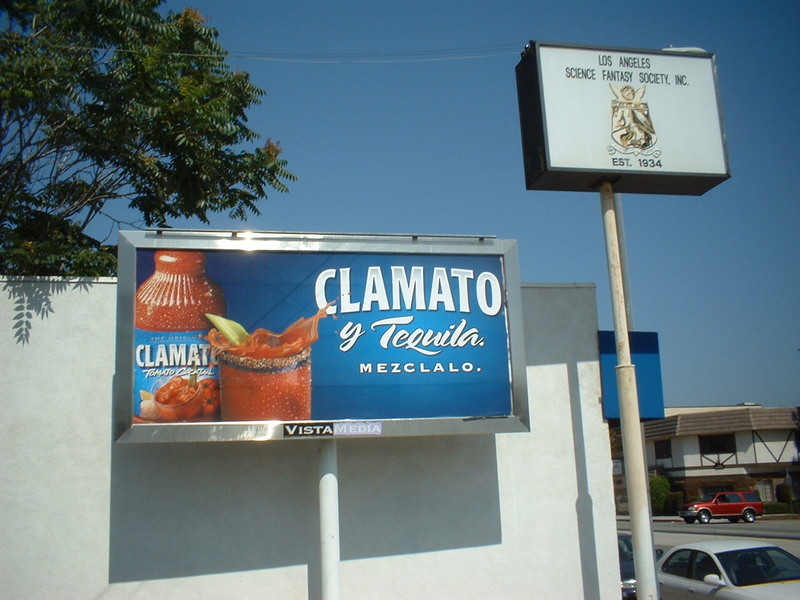 Clamato y Tequila. The subheading says "Mezclalo." I think Mezclalo means "it'll put hair on your teeth." Teen Anime Night at the local library. 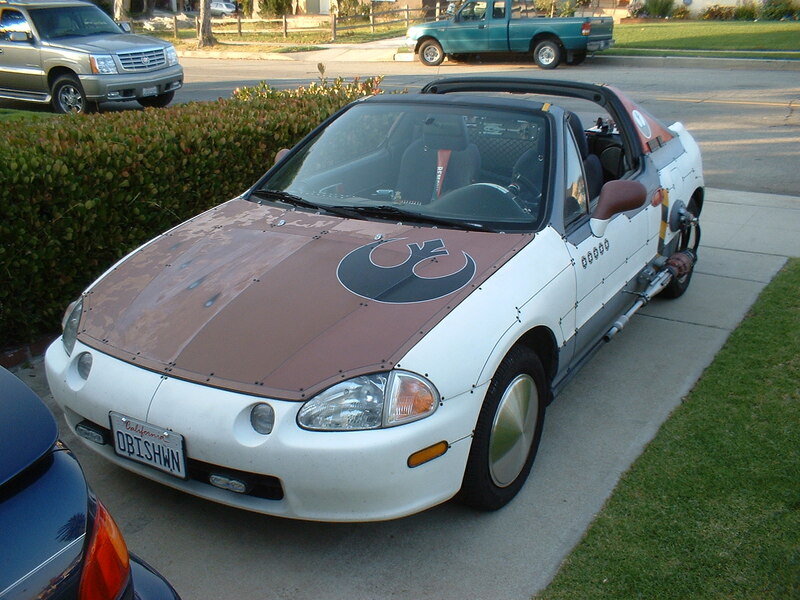 Shawn's H-Wing car, in the middle of the year. For Stepfather's Day (the weekend after Father's Day), I received a wagon (the one Maria received from Santa many years ago) and a brightly wrapped box. 1986-06 (lost: flam153.jpg), 1986-07 high-res image. 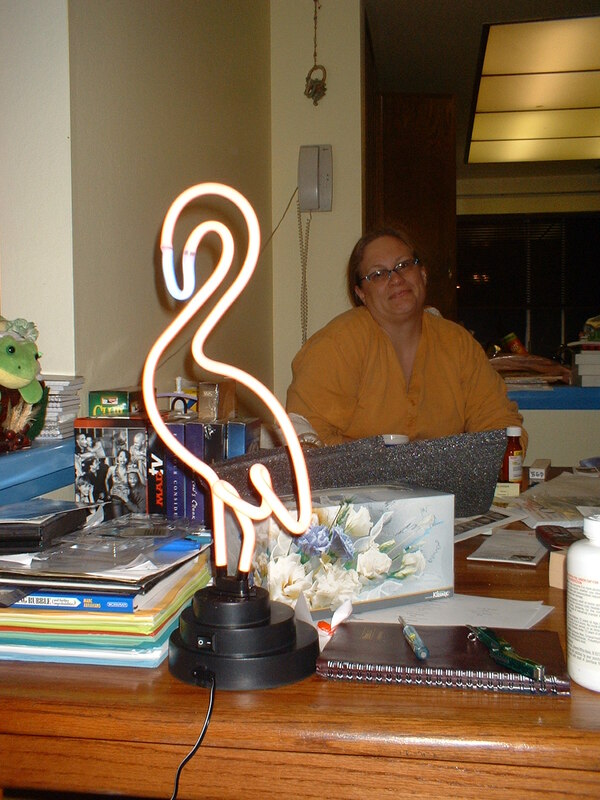 The striped box contained a neon Flamingo. 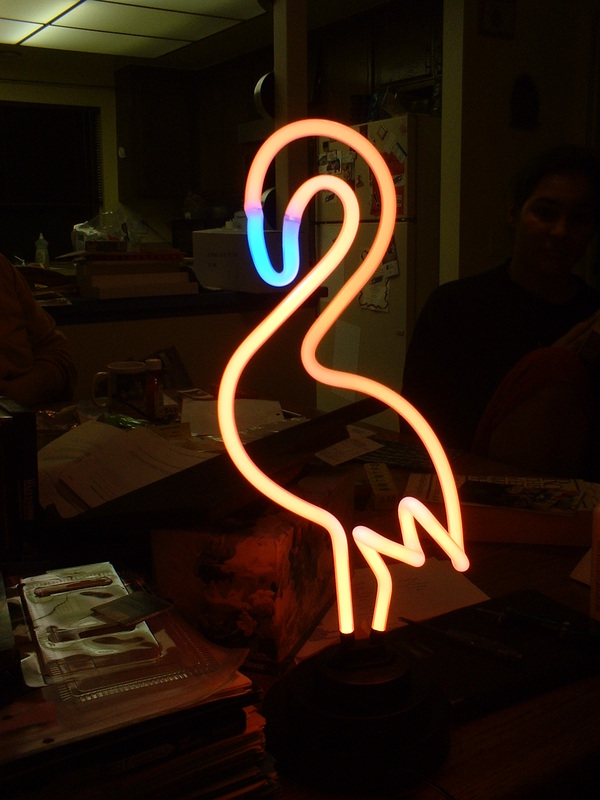 A neon Flamingo. Lynn Baden in the background. 1986-09 high-res image, 1986-10 (lost: bbq029.jpg). 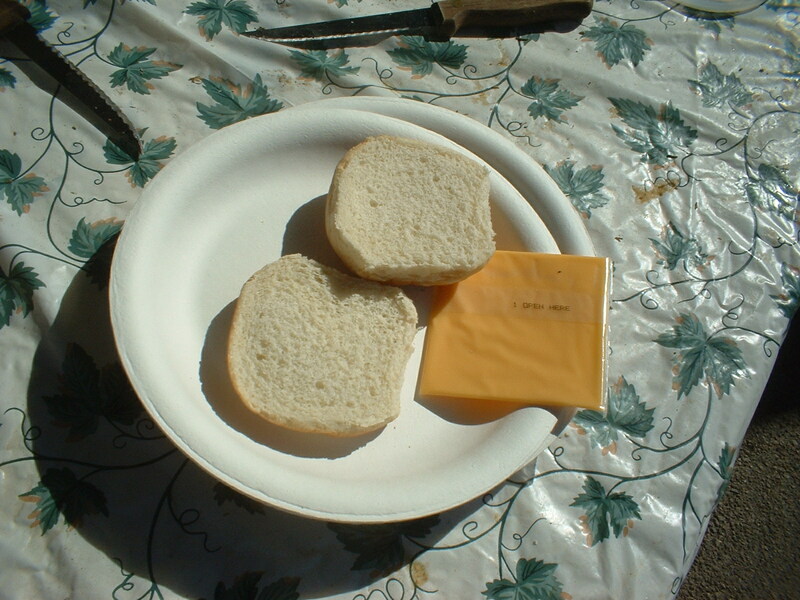 The American Pasteurized Processed Cheese Food Product Singles comes with single-step instructions: "1 Open Here." A roadster in Playa Del Rey. "Just Married."